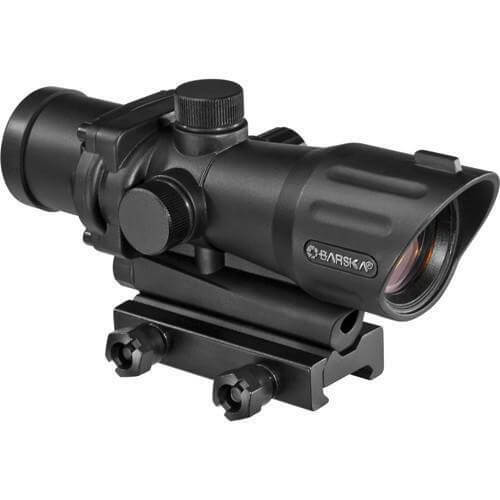 1×30 IR, M-16 / AR Tactical Electro Sight Long Eye Relief for quick tactical shooting for AR-15, M-16, M-4, SKS and More! High Impact Rated, built strong to withstand high caliber recoil shot after shot. Tactical red illuminated cross reticle. 100% waterproof, fog proof and shockproof. Long battery life, included, Standard weaver base, Compact lightweight design.